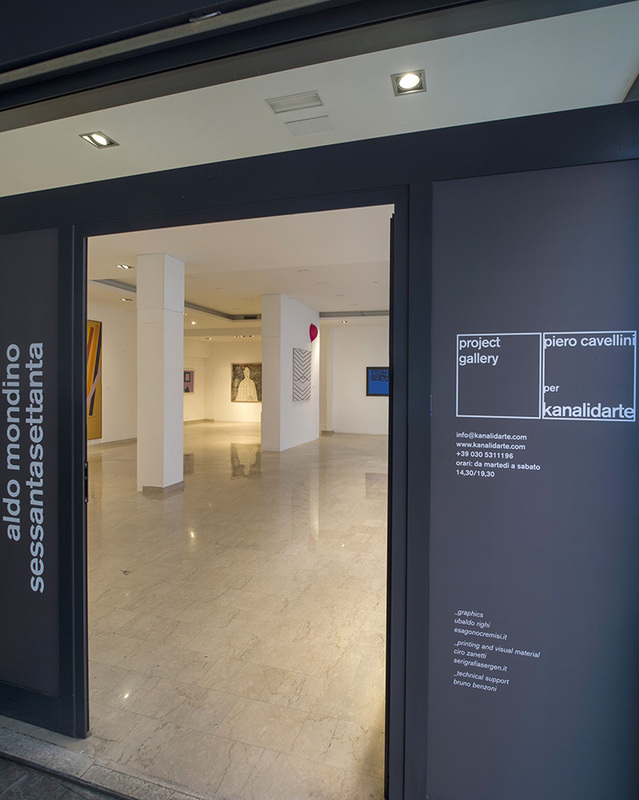 Piero Cavellini per kanalidarte is the project gallery opened in September 2016 by Kanalidarte in via Alberto Mario 38 - Brescia, in front of the historical venue of the gallery. For this wide and bright space, Kanalidarte has as its goal the development of a new artistic path, parallel to the one already started and with a particular focus on the conceptual artistic tendencies of the Sixties. Piero Cavellini, gallerist and known art promoter starting from the sixties, is the artistic director of this ambitious project which takes shape through a biennial program of exhibitions dedicated to artists of the international scene. To show the intuition and the deep understanding of the becoming and artistic making of those years, following just some of the artists of whom Piero Cavellini organized exhibitions and events in the several galleries managed by him. Adriano Altamira, Giovanni Anselmo, Joseph Beyus, Pierpaolo Calzolari, Antonio Dias, Zvi Goldstein, Ketty La Rocca, Luigi Mainolfi, Eliseo Mattiacci, Aldo Mondino, Hideyoshi Nagasawa, Claudio Parmiggiani, Giuseppe Penone, Man Ray, Franco Vaccari, Ben Vautier, Bernard Venet, Silvio Wolf, Gilberto Zorio.